The closest Nandini KR had come to joining the IAS was in 2015. In two years, she moved from 849th rank to the first rank. A woman, Nandini KR, has topped UPSC's Civil Services Examination for the third consecutive year. 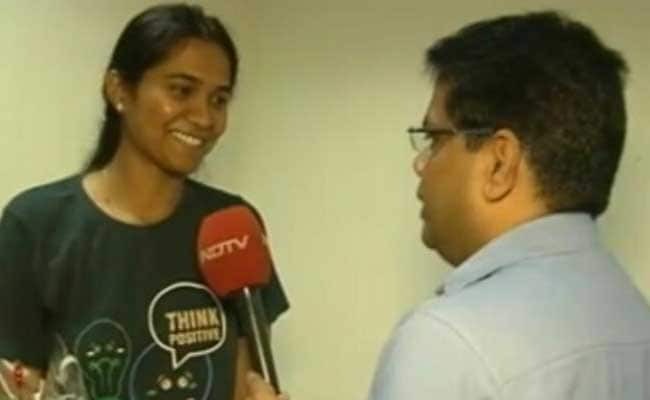 Secret behind her success, "consistency in efforts and perseverance"
Nandini KR, the 26-year-old civil engineer who topped the Civil Services Examination, said the opportunity to join the premier civil service, Indian Administrative Service or IAS, "was a dream come true". But success for the government school teacher's daughter in Karnataka Kolar district, famous for its gold mines, came after three failures. This was her fourth shot at the examination. The closest that she had come to joining the IAS was in 2015; she got the Indian Revenue Service but was miles away from the IAS. But she didn't give up. In two years, she moved from 849th rank to the first rank. "My first preference was the IAS. I think I will be getting it," she told NDTV, rather modestly, describing the "consistency in efforts and perseverance" as the secret behind her success. Ms Nandini, who spends time reading literature or playing volleyball, said this was her message to other civil service aspirants as well. It is a point that Gopalkrishna Ronanki too makes right at the beginning. Born in a poor family in Andhra Pradesh's Srikakulam district, Mr Ronanki studied in local government schools and could only afford to do his graduation through distance education mode. That he succeeded, he told public radio broadcaster All India Radio, shows that with consistent hard work, "no matter what you are, who you are, where you are from, everyone can win. Everyone can succeed". "This is the proof," he added, a reference to his topping the public service recruitment examination that he admitted was "a big achievement". "It is the result of hard work... consistent hard work for 11 years, for 2006 onwards," he said. Because he had done much of his education in Telugu and not an English medium school, Mr Ronanki had written his examination in Telugu and chosen Telugu literature as his optional subject. There are others as well. Namrata Jain, for instance, from Chhattisgarh's Dantewda district that is the hotbed of Maoist violence who secured the 99th rank. "Maybe someday she'll become the district's collector," tweeted Chhattisgarh Chief Minister Raman Singh in his congratulatory message. Almost 10 lakh candidates apply for the Civil Services Examination every year and half of them take the exam. This year, just 1,100 got through but only 180 of them will get the coveted IAS. The rest will get any of the remaining 20-odd civil services such as the police, foreign or revenue service.